March is upon us now, which makes us just that much closer to warmer spring days, clear skies and bright sun. To get all of us in a cheerful spring mood, The Finer Things is bringing you a fun Spring Color Pop series! Each Friday throughout March and April, we'll be exploring an exciting spring color, along with all the ways you can infuse the hues in to your life this season. 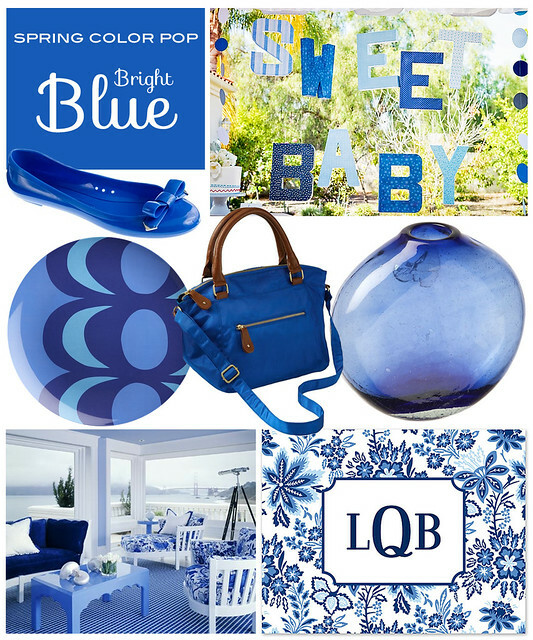 The first color on our Spring Color Pop palette is bright blue. This cheerful and calming color is perfect for home decor, party decor, fashion, and (of course) personal correspondence!